It does not matter if you are Lesbian, Gay, Bisexual, Transgender, Queer, Intersex, Allies or whatever religious affiliation, it is important to know we need to coexist and respect each other. This is why we donate $5.00 for every bow tie sold. We want to unify people and make a difference in the world. 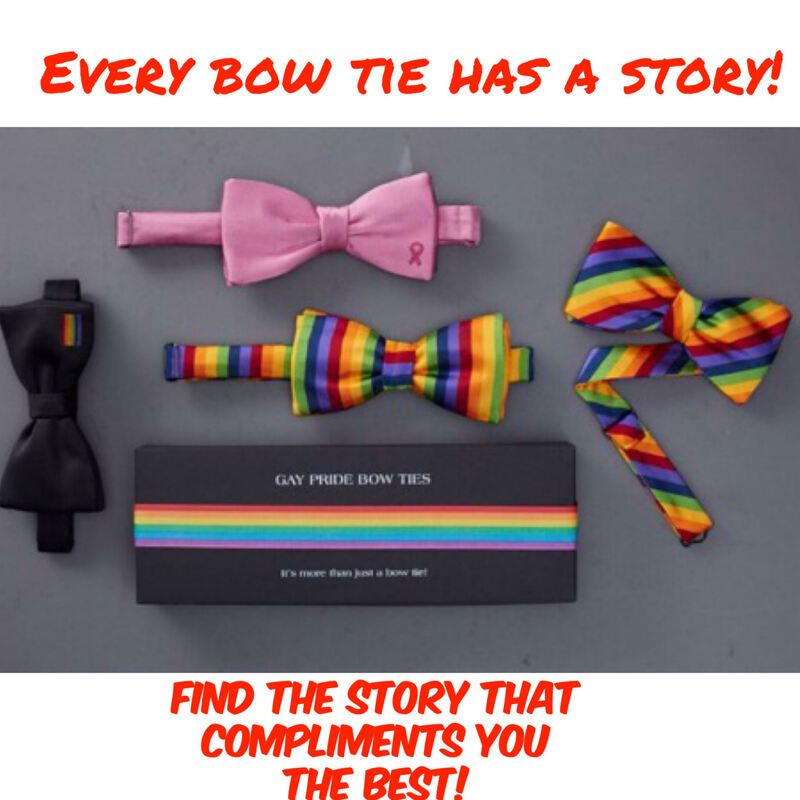 That is why we are more than just a bow tie! All bow ties are authentic hand-woven silk from the United Kingdom and hand made in the United States in the state of Vermont. The bow ties are ship to me Olathe, KS. I glue the box together and ribbon. I write a handwritten note with every bow tie sold online. If someone purchases a bow tie we write a message on behalf of the people that purchased the product.